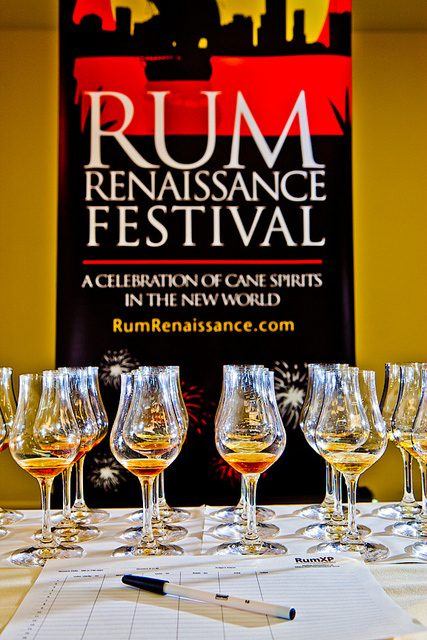 Hosts of the Miami Rum Fest Grand Tasting events, held April 20-21 at the Doubletree Miami Airport Hotel Convention Center presented a robust schedule of informative and entertaining rum-themed programs. The annual gathering of experts and enthusiasts at the world’s largest rum festival featured a expanded roster of celebrity seminars presented by luminaries of the rum category from around the globe. Among the presenters were UK Rum Ambassador Ian Burrell from London, noted tiki author Jeff “Beachbum” Berry from New Orleans, Smuggler’s Cove owner Martin Cate from San Francisco, Hemingway Cocktail Companion author Phil Greene of the Museum of the American Cocktail, Master Blender Alexandre Gabriel of Plantation Rum in France and noted spirits expert and international judge Bernhard Schåfer of Berlin. WHAT’S IN A PLATE (OF STREET FOOD)?